2002-2005 Land Rover Freelander Power Window Regulator Repair Kit Clip Front Right Passenger Side. Land Rover Freelander Window Regulator Repair Kit Clip Front Right Passenger Side. 2002 -2005 4/5 DOOR Front Right. 2002 - 2005 Land Rover Freelander Window Regulator Repair Kit. 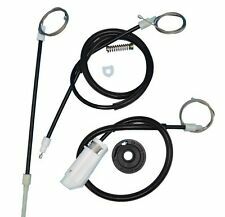 02-05 Land Rover Freelander Passengers Rear Power Window Lift Regulator Repair Kit. 2002-05 Land Rover Freelander Window Regulator Motor Rear Passenger Side. Window Regulator Winder Repair Kit. LAND ROVER Freelander. 1997 - 2006 |Front Left( 4/5 door types ). Take care of all your Window Regulator needs with this high quality FREELANDER 02-05 REAR WINDOW REGULATOR LH, Power, w/ Motor. Window Regulator Winder Repair Kit. LAND ROVER Freelander. 1997 - 2006 | TAILGATE BACK. 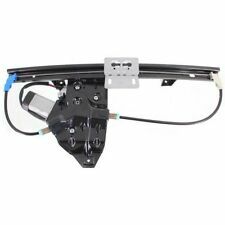 New Tailgate Window Lift Regulator 2002-2005 Land Rover Freelander. 2002 Land Rover Freelander Window Regulator Rear Tailgate. LAND ROVER FREELANDER 02-05 REAR TAIL GATE WINDOW REGULATOR CVH101150 NEW. 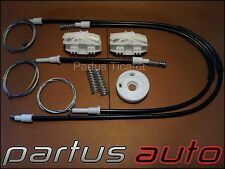 Window Regulator Winder Repair Kit. LAND ROVER Freelander. 1997 - 2006 |Front Right( 4/5 door types ). Window Regulator Winder Repair Kit. LAND ROVER Freelander. 1997 - 2006 |Front Left( 2/3 door types ). Window Regulator Winder Repair Kit. LAND ROVER Freelander. 1997 - 2006 |Front Right( 2/3 door types ). 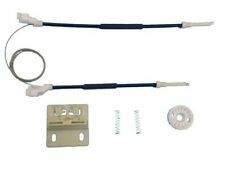 Window Regulator Winder Repair Kit. LAND ROVER Freelander. 1997 - 2006 |Rear Left( 4/5 door types ). Window Regulator Winder Repair Kit. LAND ROVER Freelander. 1997 - 2006 |Rear Right( 4/5 door types ). You've Made the Right Choice. - if you want to be sure you're getting the right part. - be sure it's correct. What We've Got. 2002-2005 Land Rover Freelander Power Window Regulator Repair Kit Clip Front Right Passenger Side. 2002 -2005 4/5 DOOR Front Right. OLD PART # ASR2472 NEW PART # CVH101150(G). FOR FREELANDER 1999-2006. LAND ROVER WINDOW REGULATOR REAR END DOOR TAILGATE. Land Rover or other logos and trademarks used on this site is for reference only. If you want a 12-month warranty. - if you want to be sure you're getting the right part. You've Made the Right Choice. What We've Got. LAND ROVER FREELANDER SUNROOF MOTOR GEAR REPAIR KIT. LAND ROVER FREELANDER 1998 – 2006. We are the real deal. - if you want a 12-month warranty. - if you want to be sure you're getting the right part. You've Made the Right Choice. When you buy an auto part online, you want to What We've Got. Power Window Regulator Repair Kit Front LH Left Driver Side for 02-05 Land Rover Freelander. 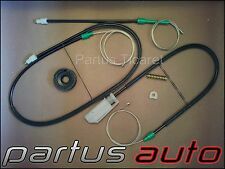 LAND ROVER Freelander Window Regulator Repair Kit FRONT LEFT (4/5 doors). 2002-05 Land Rover Freelander Power Window Regulator Repair kit Front Driver Side.